One of the coolest things about being alive is that there are so many ways we can express ourselves. We have our choice of clothing to wear, friends to have, books to read, and movies to watch. All of them help us express who we are to the world. 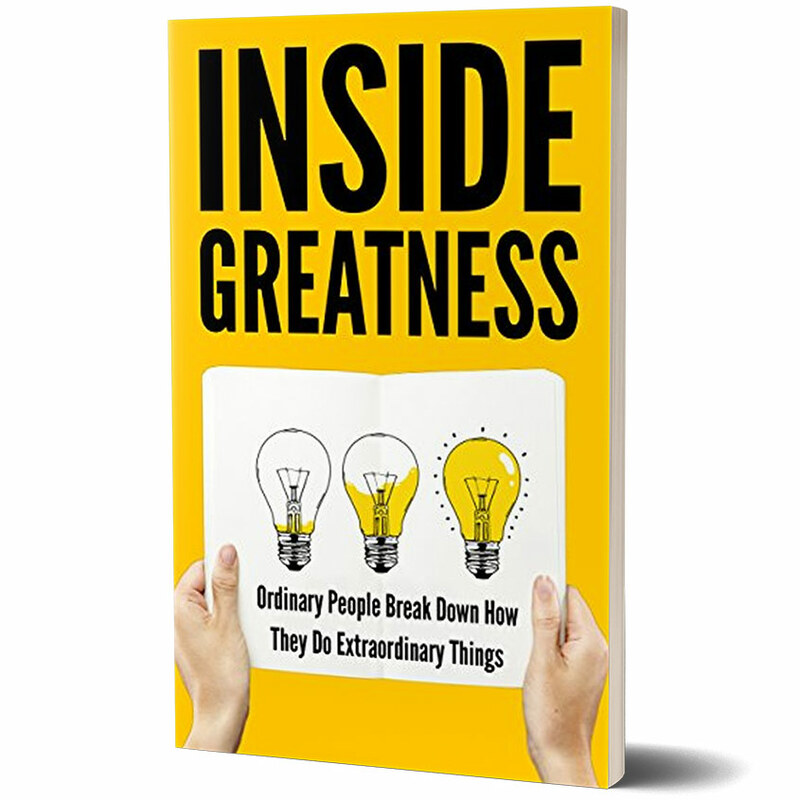 In Inside Greatness, you’re going to learn how different people express themselves through their profession. Not only will you get to see how people spend their lives on an everyday basis, but you’ll also get to see HOW they do it. The contributors to this book have spent hours upon hours honing in their crafts. Their crafts are their LIFE. This book helps you peer into their souls, see what gets them out of bed in the morning, and learn straight from them. In the coming chapters, you’ll learn about all kinds of things. There’s a heavy emphasis on marketing, and there are also all kinds of unique skills. You’re about to learn how to speed-write a song. How to de-stress, create a space that helps you feel great, and come up with new ideas. You’ll learn how to help reduce math anxiety for your child, triple your productivity, get through eating disorders, and a LOT more. And maybe you’ll learn about something you never thought you were interested in before. Go ahead and buy this book now – you’ll be happy you did.